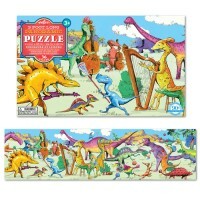 Dinosaurs will roam the Earth again and again, just like 65 million years ago, when your child assembles this sturdy 48 pc floor jigsaw puzzle by Melissa & Doug. 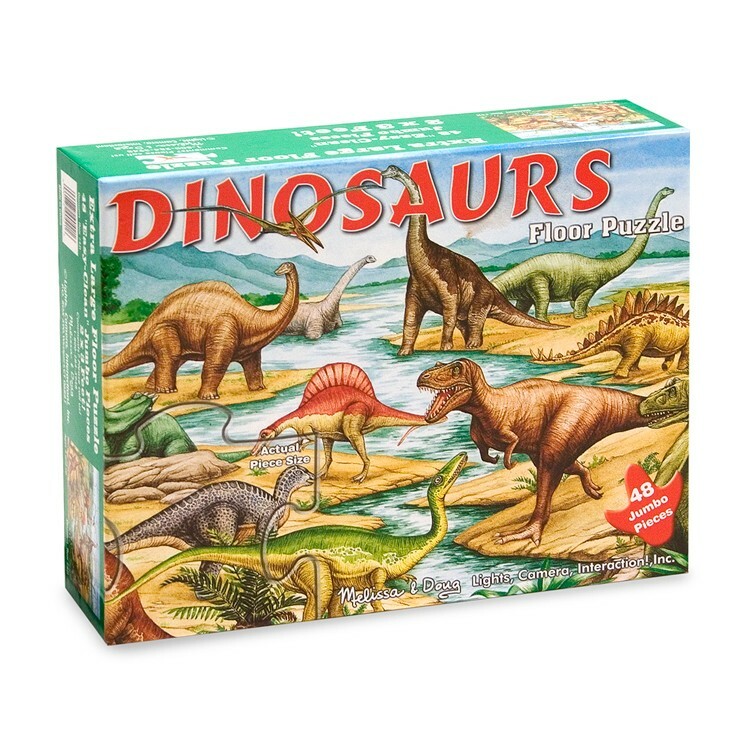 Dinosaurs will roam the Earth again and again, just like 65 million years ago, when your child assembles this sturdy floor puzzle by Melissa & Doug. 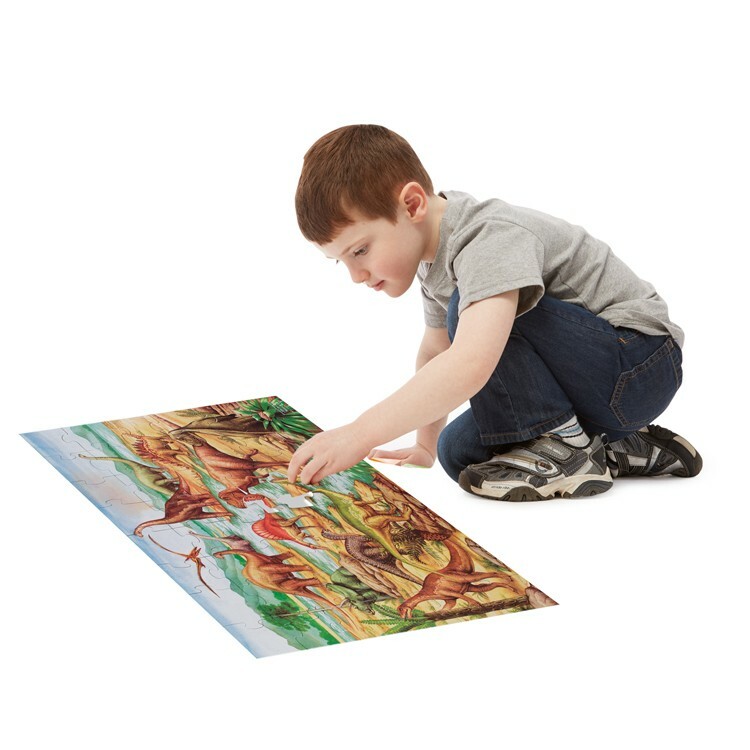 Dinosaurs 48 pc Floor Puzzle contains 48 laminated heavy cardboard pieces that will bring prehistoric times alive for your imaginative children. 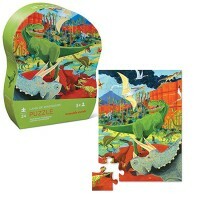 Find the right spot for your jigsaw puzzle piece and correct name for the dinosaur you put together! 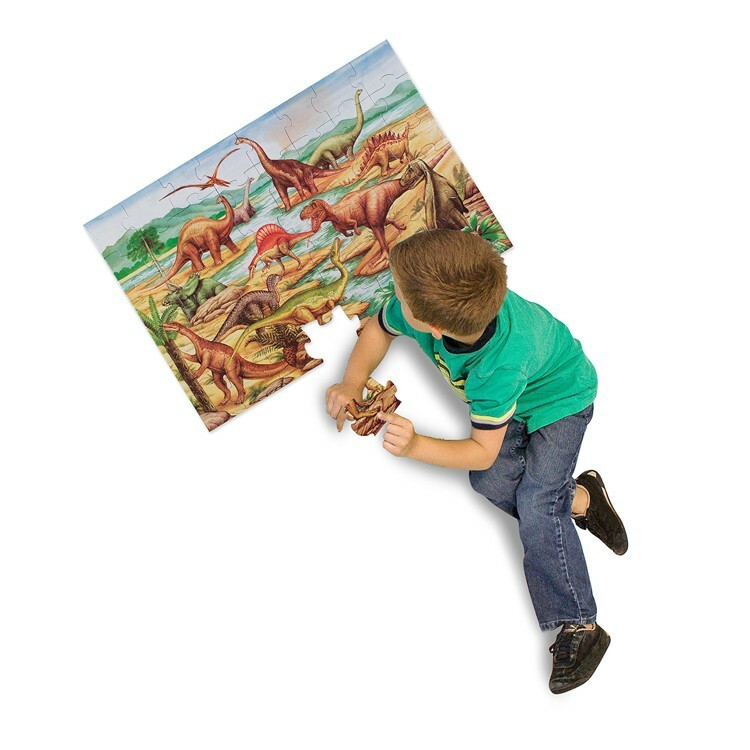 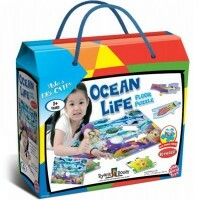 Educational Toys Planet presents this quality giant floor puzzle to introduce your children to natural history and paleontology, improve their planning and spatial skills, and entertain them at the same time. 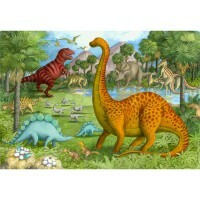 This dinosaur toy product is a great addition to your home or classroom educational puzzle collection. 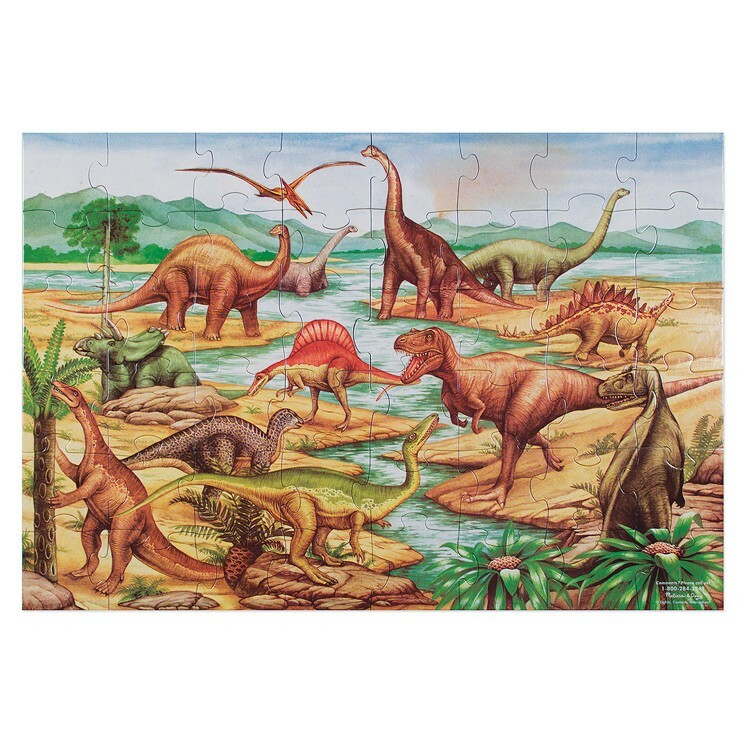 Assembled Dinosaurs 48 pc Floor Puzzle measures 2 x 3 feet. 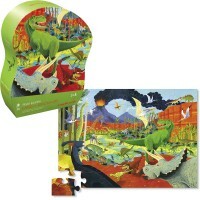 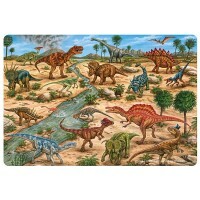 Dimensions of package 9.5" x 12" x 3"
Write your own review of Dinosaurs 48 pc Floor Puzzle. 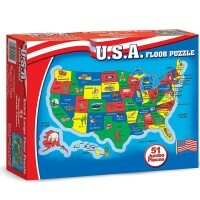 Rating: 5 by Lois, VA EXCELLENT PUZZLE! 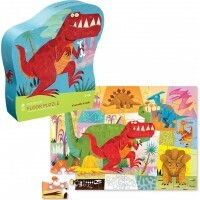 Lots of fun to put together! 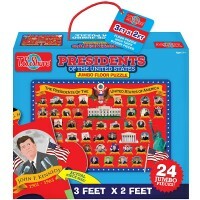 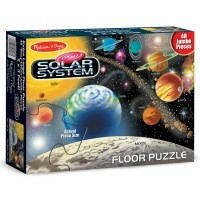 Rating: 5 by Michael, AL The puzzles are great, sturdy and easy for a 4 year old to handle.